Microsoft's latest preview release of Windows 10, build 10565, adds several features and refinements as the company works towards a major update for all users. The new build is available to anyone signed up for the Windows Insider preview scheme. Microsoft is now bundling three communications apps with Windows 10: Skype Video, Phone, and Messaging. Three apps seems overkill, but these are universal apps and their simplicity is well suited to mobile devices. 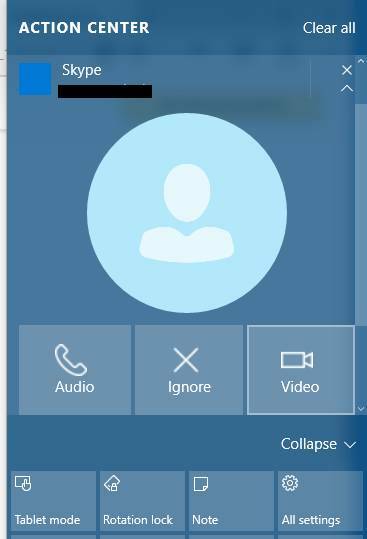 This build integrates the Skype apps with the Action Center, so that if you miss a call, for example, you can call back or send a message via quick links. The mechanism for setting a default printer has changed. In previous versions of Windows, one printer is set as default and you can use print options within an application to use a different printer. In Windows 10, this is changing so that the last printer used is the default. This could be annoying, if, for example, you printed out your huge A3 CAD drawing on the special A3 printer, and then printed your boarding pass to that printer by mistake. However, you can restore the old behaviour if you prefer. Cortana apparently has new features that we were unable to test, including reading inked notes, tracking appointments through emails, and giving you an option to book an Uber ride when the reminder comes up. The trade-off is more data heading towards Microsoft’s cloud, unless you choose to turn off Cortana. Edge, Microsoft’s new web browser, has a few enhancements in this build. Hovering over a tab now gives you a preview of that page, there’s a new icon for web notes, and you can sync favourites and reading list items across devices. Save Target As is now a right-click option for downloads. While these features are unexciting, they show progress in making Edge more usable, the problem being that its up-to-date browser engine is let down by a poor user interface. Microsoft has yet to fix one annoyance, which is that pinning the Edge task pane does not persist when you close and reopen the browser. There is also no sign yet of extensions, which are needed to have any serious prospect of tempting users away from Chrome, Firefox, or even Internet Explorer. It is not all good news for Edge. Support for Google’s WebM and VP9 standards for video playback has been removed in this build, but their return is promised. Hyper-V, Microsoft's hypervisor, has been enhanced in this release to support nested virtualisation, or in other words the ability to run a virtual machine in a virtual machine. This is a key feature for deploying applications wrapped in Hyper-V containers to Windows Server, and for forthcoming Windows 10 container-based security features, since these features will now work in virtual as well as physical machines. For most users, though, this will not matter at all. If you want to try nested virtualisation, the gory details are here. Pics A return to mobile, bloat-busting build or something else?